← Latest Mercer County Affordable Housing Estimates: West Windsor Set for 1,000 New Units? Princeton University’s Blair Courtyard looking south. Image credit: Robert Spencer Barnett. 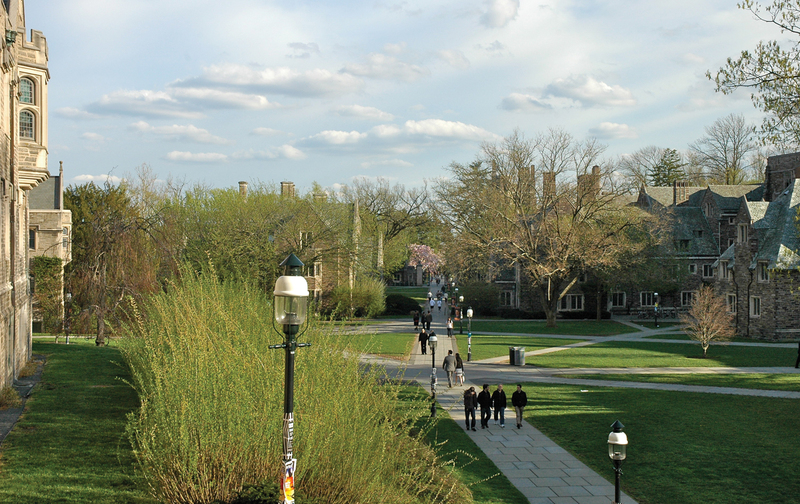 One of the great pleasures of living in Princeton, or visiting the town, is the ability to stroll, for free, around the beautiful campus of Princeton University. But if you didn’t study there (and maybe even if you did! ), it’s hard to appreciate the purpose and significance of each building, and how they all fit together. A new guidebook explains all this, by offering a series of self-directed walks around the campus. It’s a great resource for a local resident, or anyone who wants to learn more about the historic University campus. 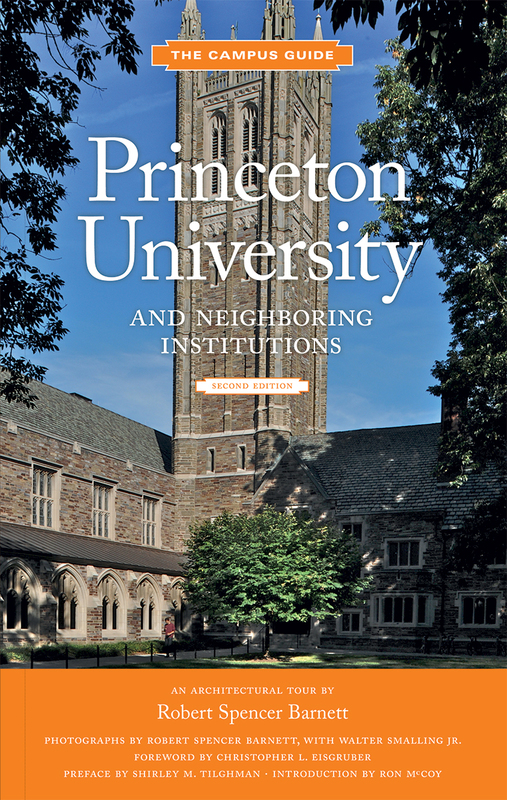 ‘The Campus Guide to Princeton University and Neighboring Institutions’, by Robert Spencer Barnett, features introductory comments from Princeton University President Christopher Eisgruber, as well as from former President Shirley Tilghman and the University Architect, Ron McCoy. Thirteen ‘walks’ are then described, guiding the reader around ten or so prominent sites at a time, and offering explanations of their history, architecture, and significance. The first walk is around the historic core campus, featuring (among others) Nassau Hall, Henry House and Whig and Clio Halls. These jewels of the colonial campus can be enjoyed without any further explanation, but by reading a little more about their history and how they were built, we can appreciate them even more. By following the walks, it’s easy to understand the successive waves of different architectural styles, and the ‘master plans’ that molded the campus. The 1909 master plan by Ralf Adams Cram was particularly influential, and placed residential buildings on the west side of the campus and academic to the east, a separation that still holds in the present day. Although we see many beautiful buildings around Princeton University today, a significant number of historic structures have also been demolished over the years, and others have been moved. The original chapel and East College dormitory were razed in 1896, for example, in an event that was called “The Crime of ’96”. The University also accentuated walkability, closing former roads on campus, and creating named walkways (which are described in more detail in a prologue in this new edition). The University has also been shaped by the personalities of the men and women in charge. 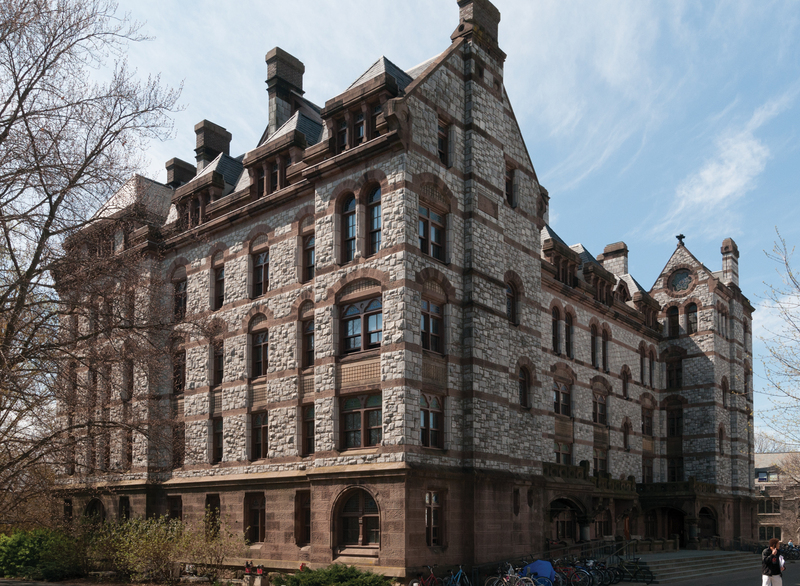 Although many visitors think that ‘Collegiate Gothic’ is the traditional Princeton style, that was not always the case. Three men in particular – Moses Taylor Pyne, Andrew Fleming West, and Woodrow Wilson – were instrumental in driving the decision to mimic the style of construction seen at the ancient universities at Oxford and Cambridge. Buildings from before their time were constructed in a range of different styles, as seen for example Witherspoon Hall (above). Similarly, although the Princeton University campus is now lush with plantings, that was not always the case. Landscaping became a priority in the time of University President James McCosh, and was significantly developed from 1912 by consultant landscape gardener, Beatrix Farrand. The toughest challenge for the author must clearly have been to figure out what to put in the book and what to leave out. There are enough stories about the University’s history and built environment to fill a library. The balance feels right for somebody who wants to gain a pretty good appreciation of the campus. Proper historians and folks who are trying to tour the campus in a 45-minute whistle-stop tour will probably want something else. In addition to Princeton University itself, this guide also includes self-directed walking tours of the Princeton Theological Seminar, Institute for Advanced Studies and downtown Princeton itself. This is great, because few people will be intimately familiar with all three of these institutes of higher learning, and they each have significant histories. For townies, the downtown Princeton section is interesting, to see what sites the author considered to be worthy of inclusion. The classics are there (Palmer Square, Mercer Hill Historic District) but also some interesting contemporary choices, such as the Princeton Public Library (Hillier group, 2004) and the Michael Graves-designed Paul Robeson Center for the Arts. The new guide is out December 15. If it sounds good to you, you should probably call up Labyrinth books now to order your copy or think about whose gift list it should be on! (note: it’s also available from other book-sellers). This entry was posted in architecture, Placemaking, planning, Princeton and tagged architecture, planning, Princeton University, Walking. Bookmark the permalink.